DVA publication. 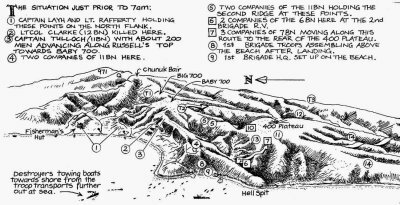 "From Gallipoli to Dili - The Spirit of Anzac". See pages 7-11. 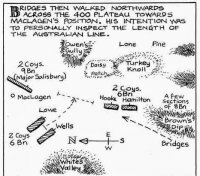 Includes a map showing the location of the Anzac landing and the Turkish defences. 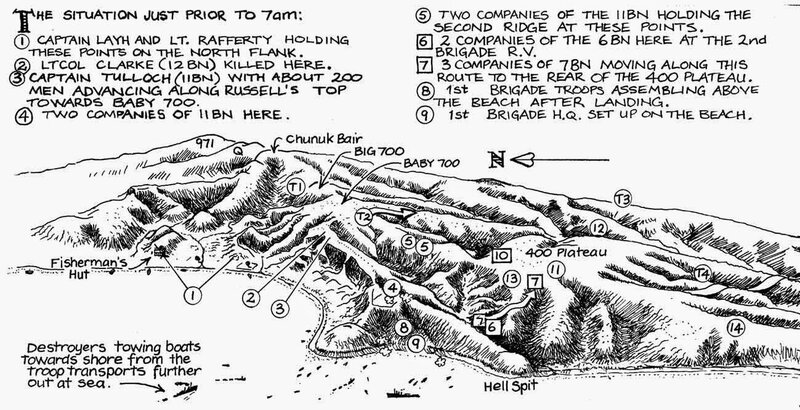 From Oxford Companion to NZ Military History. Reproduced from the book Gallipoli Campaign by Huseyin Uluaslan, Canakkale,Turkey. 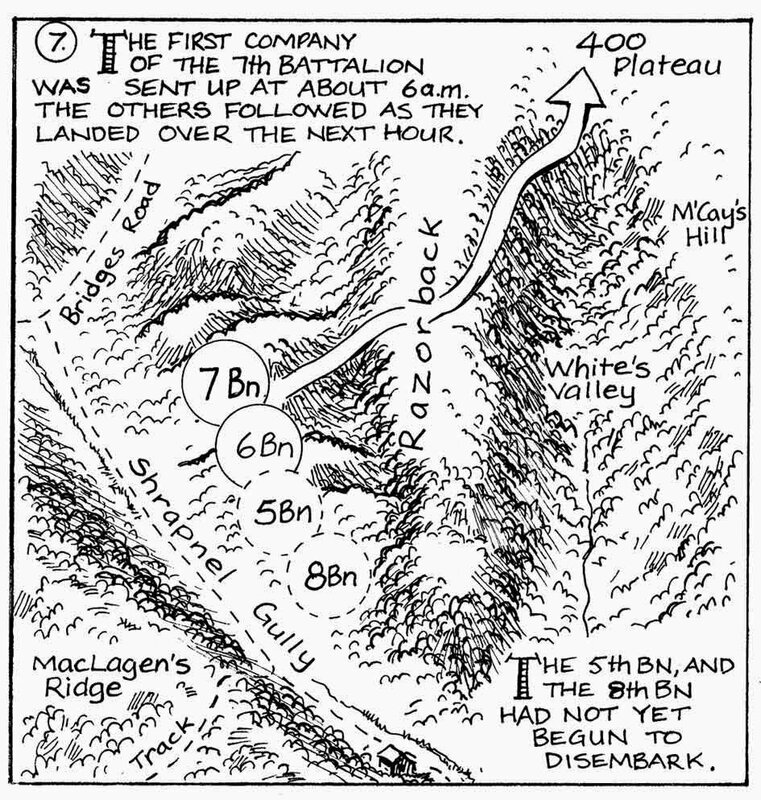 See pages 4-7 for "A Narrative of the Gallipoli Campaign" illustrated with maps. 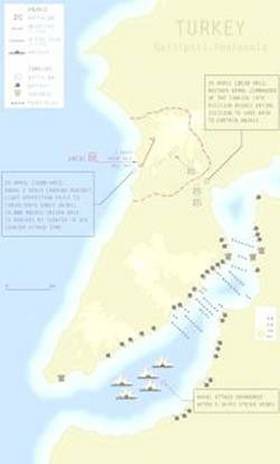 Information including maps for use in a major timeline-based activity on the Gallipoli Campaign. Southern section of the Gallipoli Peninsula showing landing beaches and front lines, August 1915. 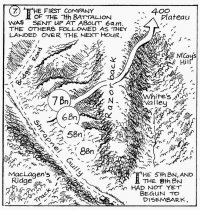 Dave Dye's graphic history book, The Anzac Legend, incorporates a number of maps and diagrams in presenting the story of the landing at Gallipoli. - Click on the examples at right and below.